This is the most recent portable layout built by the club and utilises a novel lightweight baseboard construction. 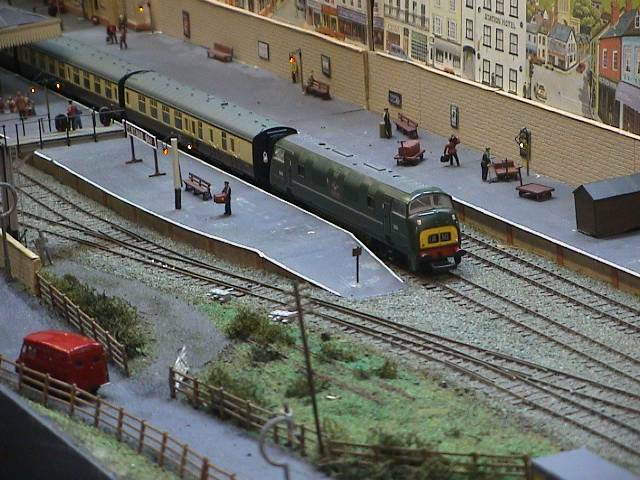 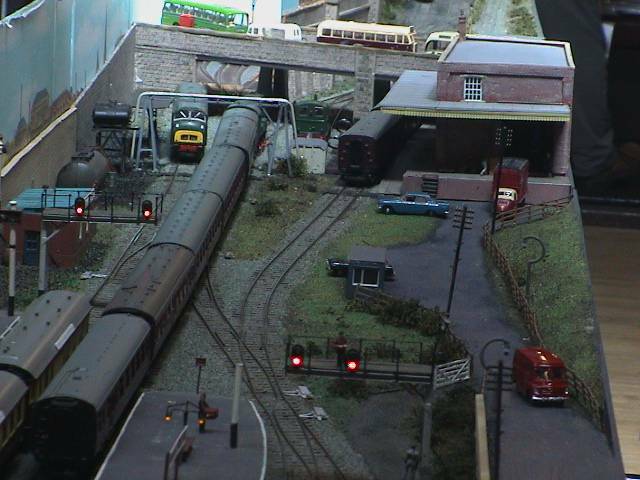 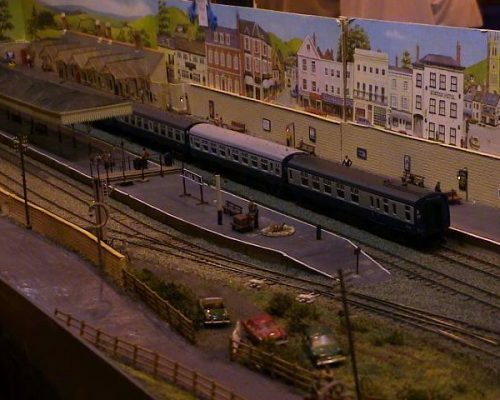 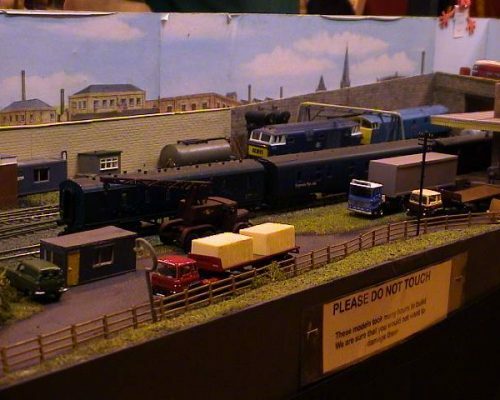 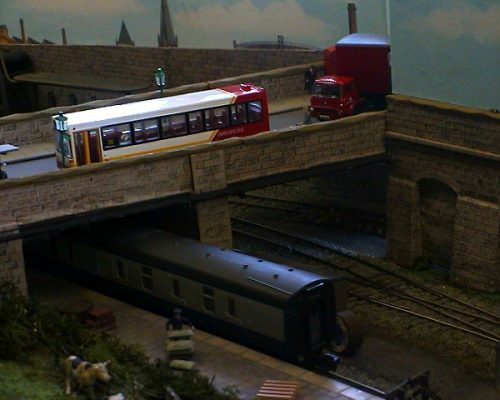 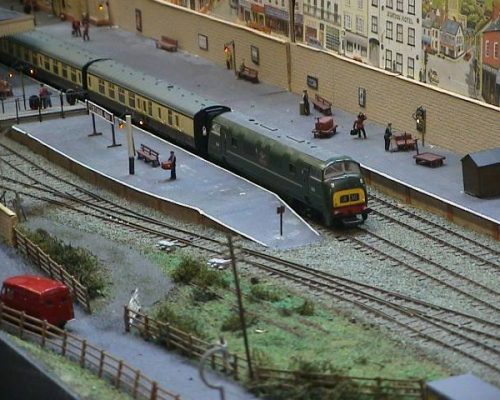 It depicts a small terminal station with three platform faces and a small parcels depot set in the 1960’s. There is evidence of former more extensive trackwork. 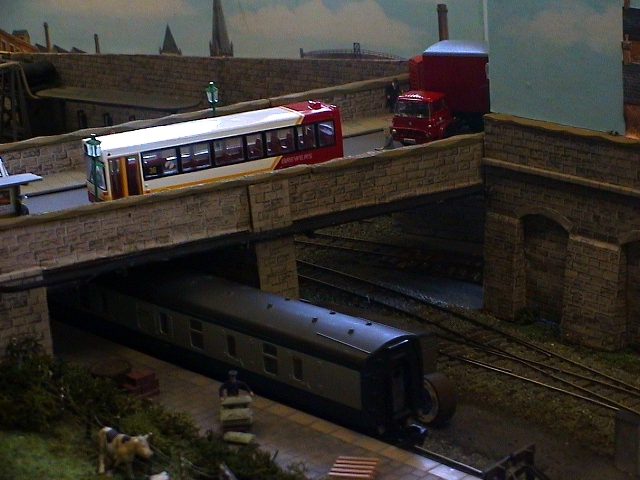 Likewise the semaphore signalling has been replaced with colour lights. 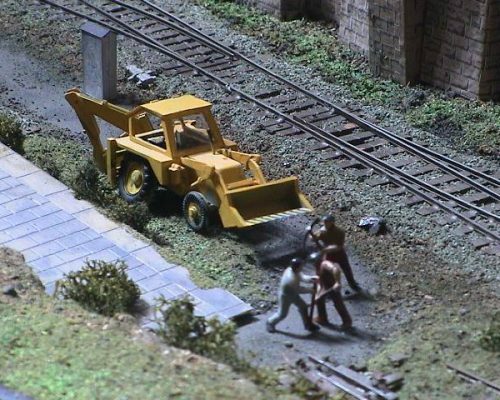 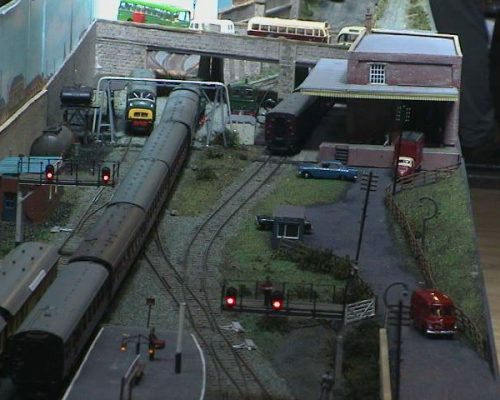 The fiddle yard is hidden behind three long freight sidings and a small industrial building.